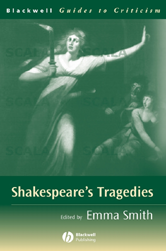 This Guide steers students through the critical writing on Shakespeare's tragedies from the sixteenth century to the present day. Guides students through four centuries of critical writing on Shakespeare's tragedies. Covers both significant early views and recent critical interventions.